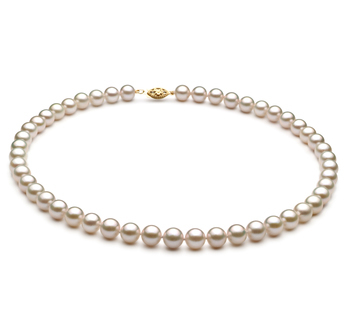 Both Chinese and Japanese Akoya pearls are produced by the Pinctada Fucata oyster that provides them with their name. The production process is the same for both types of Akoya pearls but due to the fact that the waters are warmer in China, these pearls can thrive. The excellent growth conditions in Chinese waters make the nacre grow much faster. This is the main reason why the prices for Chinese Akoya pearls are considerably more accessible than those for the Japanese ones. Japanese Akoya pearls take longer to grow, but the quality of the surface is superior to that of the Chinese Akoya pearls. Chinese Akoya pearls are nucleated and this provides them with their impressive round shapes. Chinese Akoya pearls display an exemplary luster, which increases their value in the jewellery market. White Chinese Akoya pearls are a symbol of elegance and sophistication. This is the most popular type of pearl because of its accessible price and its impeccable quality. 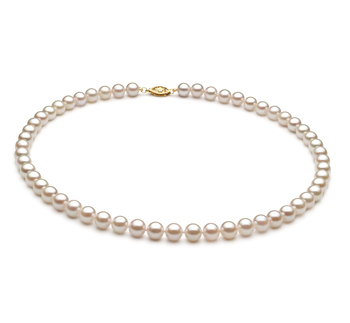 Chinese Akoya pearls are affordable, however, their beauty is not compromised. With a high luster, these quickly grown pearls are the ideal choice for everyday wear. If you are looking to add an elegant touch to your wardrobe, here are more reasons to choose Chinese Akoya pearls. 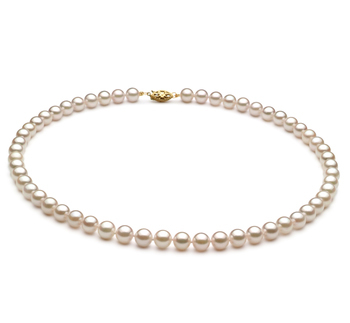 A true rival for Japanese Akoya pearls, Chinese pearls are elegant, subtle, and feminine. Their premium quality can be noticed at a single glance. PearlsOnly offers its buyers additional features for a unique shopping experience.